Shades are perfect for privacy because you can lower them quickly when needed, but raise them to keep the bathroom filled with natural light. You can also choose a lighter fabric to allow more light to come in so you're not only relying on artificial lighting. Not everyone realizes the decor of your bathroom matters, which is why if any type of window treatment is used, it's often cheap vinyl blinds. But consider how much time you spend in your bathroom everyday - and consider the fact that whenever you have guests over, odds are they'll see your bathroom, too. You want your bathroom's interior design to look good, and shades are the way to do it - especially when there's a wide selection of fabrics to choose from. Not only are our shades extremely easy to pull up and down within a few seconds, but we also offer motorized options, which makes controlling your bathroom shades even easier. Our manual shades also come with a child safety device engineered to lock the cord if it's not installed to the wall or if it comes loose. If the device locks, then the shade will become inoperable until the device is properly reattached. Bathroom windows come in all shapes and sizes. 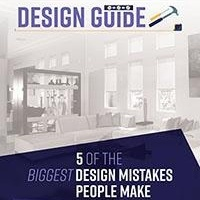 For example, a bathroom might have a very small window in the shower or bathtub area, while a more opulent bathroom might have large floor-to-ceiling glass windows that separate the bathroom from the bedroom. It's not difficult to use shades for these types of windows since they can be customized to fit any size. Compared to blinds and drapes, shades are much easier to keep clean - especially in the bathroom area. There tends to be a lot of moisture in bathrooms, which means using drapes isn't the best idea. And blinds tend to take a while to get clean since you have to either remove them to soak them or laboriously clean them one slat at a time. Cleaning your shades will be much easier and won't take you as long. 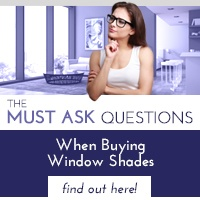 When it comes to window treatments in your bathroom, shades are the way to go. 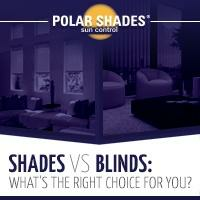 From the customization to the added privacy shades add the finishing touch to your home. These are only a few of the benefits for using shades in your bathroom. 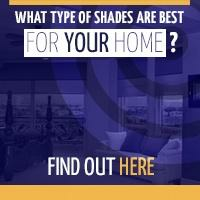 For more information about our interior shades, be sure to contact us at 702-260-6110 today.